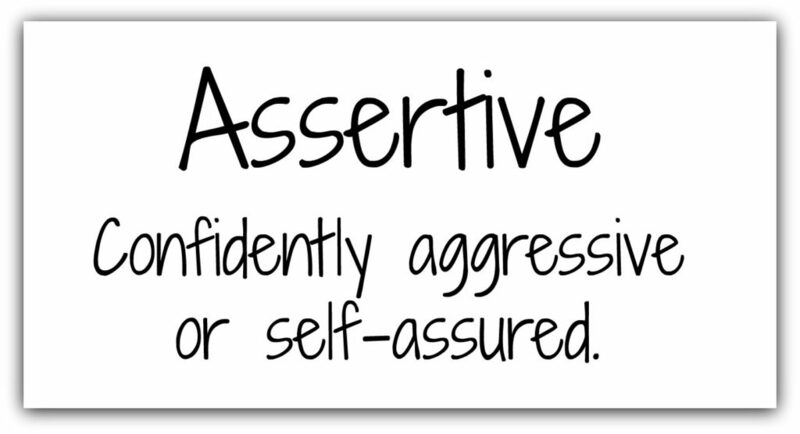 In Should Assertiveness Be Your Goal? we talked about how some people often feel like doormats but struggle with becoming more assertive. We came to the conclusion that becoming Christ-like, which sometimes involves being assertive, is really the better goal. Let’s look at how to move toward that goal. Christ was certainly assertive, but he was also humble. This truth is evident throughout Scripture, especially in the Gospels. His life illustrates the perfect balance between confident aggression and humility. Knowing Christ more and becoming more like him is the key to knowing how we should live and interact with others. It’s the key to knowing how to be assertive and humble at the same time. It’s the only way to know when to go the second mile and when to voice our plans, preferences and desires. If the goal is to become Christ-like, not to simply be more assertive, we must first realize that one blog post, book or sermon (or even 10 or 20 or 100) cannot cover all of how that happens. Instead, we can begin our lifetime journey of progress toward perfection. We can start by looking at a few basics to create a foundation to becoming Christ-like even when our flesh or the world encourage us to focus on being self-confident. Almost any part of the New Testament can guide us in becoming more Christ like. We find a terrific example of how this works in Ephesians 4. Right away in Ephesians 4 we find a list of how “to walk in a manner worthy of the calling with which you have been called… humility… gentleness… patience… tolerance… love… unity…” (Ephesians 4:1-3). Throughout the chapter, we receive instruction on how to live this out. With just one or two readings through Ephesians 4, quite a few pieces of instruction jump out for how we “learn Christ” and are “taught in Him.” In other words, how we become more like Christ. This is why we have pastors and teachers. They help us understand and apply the instructions given in God’s Word. Essential to maturity and unity in Christ. Also a sign of stable growth. Learn to talk through difficult stuff and to do so in a loving way. While we can appreciate that anger isn’t forbidden, it’s important to realize that we cannot let it linger whether justified or not. Avoid saying anything unhealthy and destructive. Instead, words should edify and build up. Forgive as Christ forgave you. Be tenderhearted, sympathetic and compassionate. Often, we must show kindness even when it’s undeserved. You can find these habits progressing in the lives of Jesus’ disciples in the New Testament as they spend time with him during is earthly ministry. They’re even more evident as they spread the Gospel after receiving the Holy Spirit. Even many individuals (Joseph & David, for example) in the Old Testament provide examples of these principles being progressively lived out. Most importantly, you can find all of these habits exemplified in the life of Jesus during his 3-year ministry as well as implied in his life before then (Luke 2:52). Pick any Gospel and read about Jesus’ life on earth, and you’re sure to spot these habits carried out in perfection. Jesus was certainly meek and mild. He balanced love and truth with courage. He was also proactive and commanded respect while also being humble and loving. His example shows us how to be assertive without becoming self-focused and over-aggressive. As we seek to become more Christ-like, a lifelong endeavor to be sure, we can place our confidence in his desire to help us. Not only can we get this help in the pages of Scripture, but we have supernatural help us as well. As we progress toward perfection, we can have confidence knowing we have a perfect example to follow. We have imperfect ones too that can also help us in our goal to becoming lie Christ. This entry was posted in Focus and tagged anger, balance, basics, bible, Christ, christian, confidence, David, encourage, encouragement, father, focus, following, forgive, foundation, growth, habit, habits, health, Holy Spirit, important, individual, instruction, John 15, journey, love, Luke 2, Luke 2:52, move, passion, past, path, patience, perfect, perfection, plan, read, Ruth, scripture, serve, struggle, teacher, time, truth, victory, witness, words, work by admin. Bookmark the permalink. A lot of people forget the 5 points you list on their way to becoming more aggressive. They are key to doing it right. Especially when emotions or stress or whatever run rampant. I know I struggle with those 5 things & need reminded of them daily. Lately I've been taking more time to monitor and be aware of my thoughts and what I speak out. I typically don't think/speak bad or negatively but know the enemy tries to place toxin in my life. Being more aware of my speaking and thoughts has allowed me to change or delete the words/thoughts so they are not leading me toward the negative or bad. It's a daily challenge for anyone to guard and protect their thoughts and words. Amazing what creating that awareness does for our motivation, isn't it? Guarding and protecting our thoughts SHOULD BE a daily challenge. If it's not a challenge, I would say that it's probably something that we are losing the battle with already. God's been speaking to me about using my words to build people up. Sometimes I'm too quick to speak. I'm learning to pray first and speak second. To ask God if He would be happy with the words about to come out of my mouth. Sometimes this means I must be kind when it's not deserved and to let go of anger that I'd rather hold onto. But I'm finding that the more time I spend with God the easier it is to act like Him. The answer to any struggle we have in life is always more of Him. Simple.